The NCAA men’s basketball tournament is now down to 16 teams. 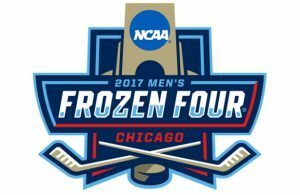 But for hockey fans, the 16 teams that will check, skate, and score for a national championship will begin play Friday afternoon. There are four seeded teams in the tournament- No. 1 overall Minnesota, Boston College, Union and Wisconsin in that order. 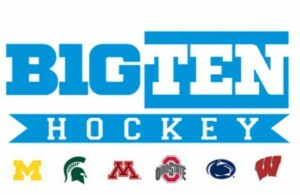 Union (ECAC) and Wisconsin (Big Ten) earned two of the tournament’s automatic bids by winning their respective conference tournaments. The other automatic qualifiers were UMass Lowell (Hockey East), Robert Morris (Atlantic Hockey) , Minnesota State (WCHA) and Denver (NCHC), with each winning its respective conference tournaments. The other 10 at-large bids was led by Minnesota. The No. 1 team in the nation enters the tournament with a 25-6-6 overall record. The Big Ten regular season champions was upset by Ohio State in the conference tournament semifinal, but still managed to earn a No. 1 seed in the region they are hosting (West). They are paired with Robert Morris, who won their conference tournament despite finishing the regular season in fifth place. Awaiting the winner of that game will be 2013 Frozen Four participant St. Cloud State and Notre Dame in St. Paul, Minn.
No. 2 seeded Boston College will headline the Northeast region in Worcester, Mass. The Eagles will take on NCHC tournament winner Denver and they are paired with the winner of their conference tournament (UMass Lowell) and WCHA tournament winner Minnesota State. The Mavericks are one of the hotttest teams in the nation, they have yet to drop a game since January as they are going 12-0-1 in the months of February and March. In addition, Denver won the NCHC with a losing conference record. They aren’t a team to be sleeping on. Seeded third is Union. The Dutchmen has a familiar foe in Quinnipiac in the Northeast region in Bridgeport, CT. The two teams split during the regular season but didn’t get to play one another in the conference tournament. They also have familiarity in their favor with the other teams in their regions as both coaches of Vermont and Providence have spent time behind Unions bench. Vermont head coach Kevin Sneddon, who was at Union from 1998 to 2003 while Nate Leaman, the third-year coach at Providence, spent eight years at Union prior to taking the Providence job. The last No. 1 seed goes to Wisconsin. The Badgers head to Cincinnati with a date with former WCHA rival North Dakota prior to both teams leaving for difference conferences. In the last six seasons prior, North Dakota has a 9-6-2 advantage over Wisconsin. The other first round match up puts Ferris State against Colgate. The 2-seeded Bulldogs could have had a shot at the 1-seed Wisconsin earned should they beaten Minnesota State in the WCHA tournament. The Bulldogs have 28 wins this season, most in the nation with Union. 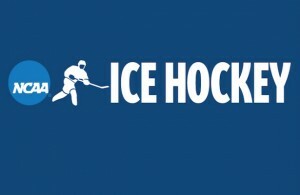 Check out the schedule for this weekend’s games as well as where they can be seen. ← Previous Story Brodeur still upset after Parise departure?